If you're one of the millions of Americans who have been through a bankruptcy, short sale or foreclosure, you may already be aware of the waiting period before you're eligible for a traditional home loan again. See the waiting periods here. The only trouble is....life must go on. That's where we can help. FLEX is designed with little or no waiting periods after major housing events. It is the ideal tool to get you back into home-ownership, until you're eligible to refinance into a traditional home loan. This page includes a calculator to help you decide if it's right for you. We'd love the opportunity to discuss your needs and answer your questions. * Middle FICO - Determined by middle FICO score of the primary earner on the application. ** Bank Statement Income can affect down payment and other factors. See our Bank Statement loan page for details. * Although Level 3 has no waiting period, the length of time from a prior housing event can affect the down payment requirement. FLEX is designed to integrate into an overall plan. Not only does it allow you to achieve home-ownership again, it does so much more. 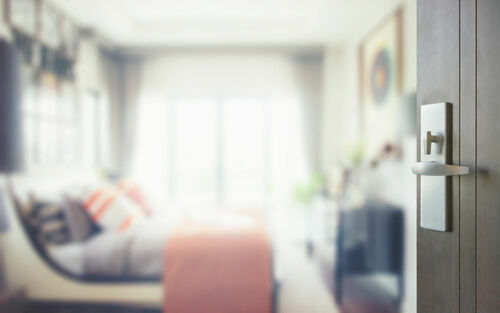 Most people tend to overlook the tax benefits and home appreciation when considering their decision; however many are surprised to see how dramatic the potential benefits can be once everything is put into focus. In most cases, using FLEX is a financially superior alternative to waiting to qualify for a traditional home loan. Run your own FLEX Scenario Analysis. Can FLEX work for you? Reserves: 3 - 12 months after closing, depending on overall basis. Strong asset profiles are considered strong underwriting compensating factors for creditworthiness. ** at Level 4, the waiting periods are waivable and specialty property types are accepted on a case-by-case basis. See loan originator for details.